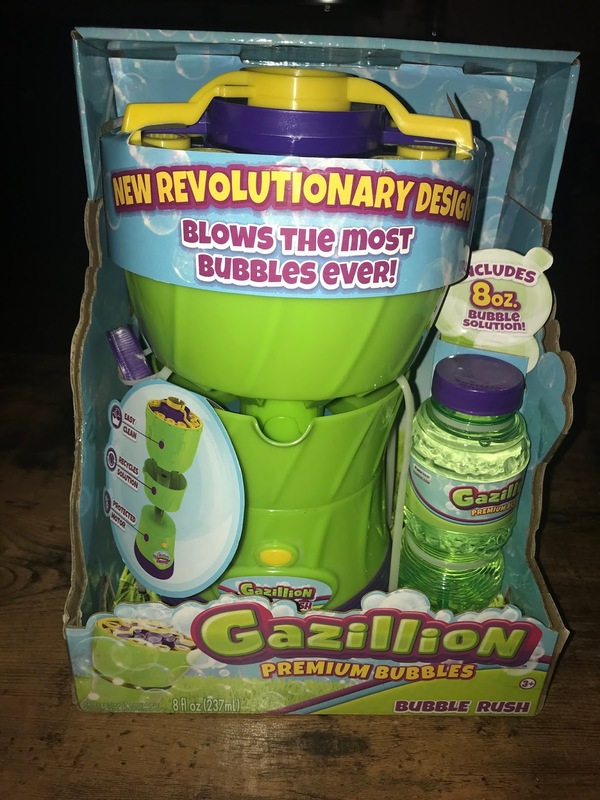 One of my favorite products from Funrise is Gazillion Bubbles, Bubble Rush! I got to try it out at Toy Fair and was so amazed at how many bubbles it produced in such a short amount of time. It is so cleverly made with easy to clean tray and bubble recycling cup too! This is sure to bring so much fun to everyone who uses it! Check out my video from Toy Fair demonstrating all of the bubble fun! recycling tray and batteries and motor sealed inside the base. • Simply pour solution into the reservoir and push the button for a bubble explosion in seconds. 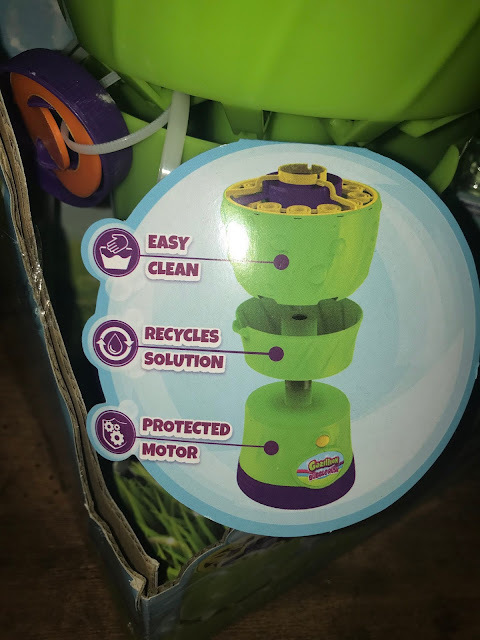 • Designed to create hours of fun for kids and easy to clean for parents. • Includes an 8 oz. bottle of GAZILLION Premium Bubbles solution. Disclosure: I received product in exchange for this post. All opinions expressed are my own honest opinions and I was not required to write a positive review. However, I did, because I love this Bubble Rush machine. This makes a lot of bubbles. I like that it recycles the bubble solution. Warm weather is on the way and my grandkids would have lots of fun with this.